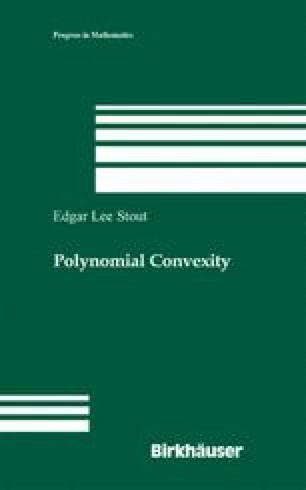 The main properties of polynomially convex sets discussed in this chapter are of a general character in that they do not depend on particular structural properties of the sets involved. Section 2.1 contains some of the information about polynomially convex sets that can be derived from the theory of the Cousin problems. Section 2.2 contains two characterizations of polynomially convex sets. Section 2.3 brings the geometric methods of Morse theory and algebraic topology to bear on polynomial convexity. Section 2.4 is devoted to some results for various classes of compacta in Stein manifolds that are parallel to results for polynomially convex subsets of ℂN.